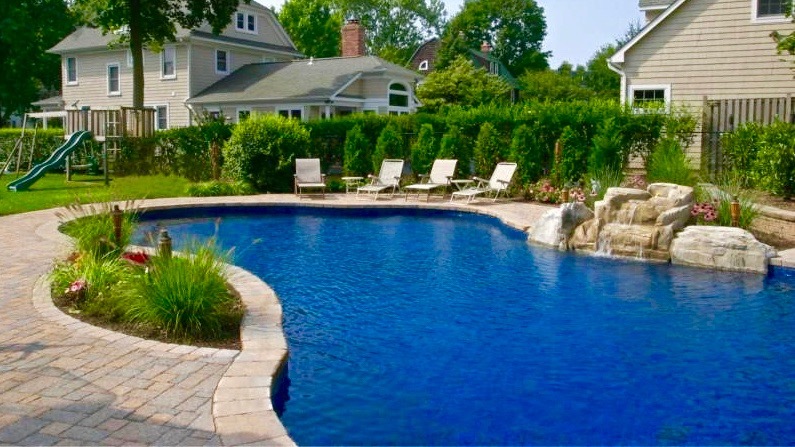 This Award Winning Poolscape & Patio design client wanted to upgrade his backyard visually as well as the property value in general. 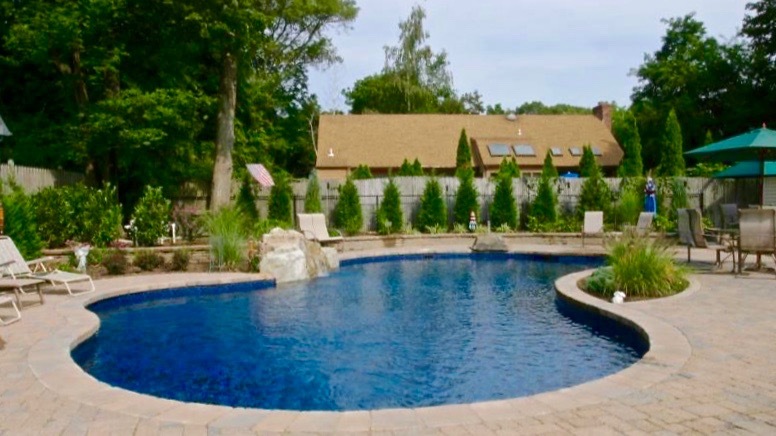 After his pool was installed, we added natural stone coping, a beautiful natural waterfall and seasonal plantings that complement the overall landscape design and soften the look of the natural stone. 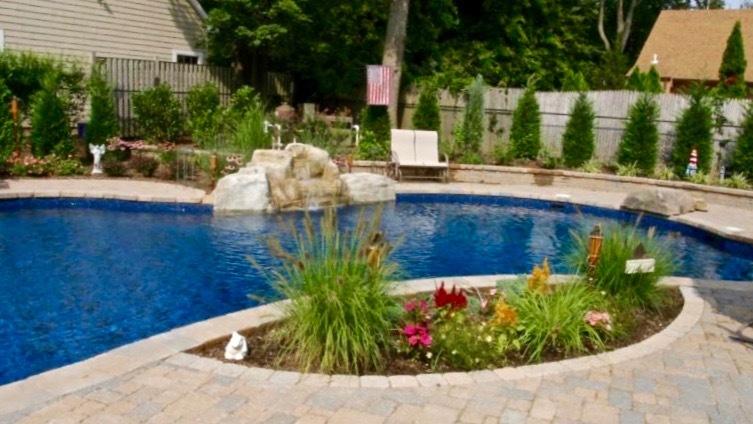 Upgrade backyard visually as well as it's property value. Account for unusual shape and small size of the backyard.